Northern New Mexico College (NNMC) is a small college that primarily serves minority students in the rural communities surrounding Española, NM. NNMC’s IT program has only been operating for nine years, yet it’s been awarded several prestigious National Science Foundation grants and has quickly expanded both its curriculum and its reach. In this interview, Department Chair Dr. Jorge Crichigno discusses the unique challenges of serving rural communities and how NDG’s NETLAB+ platform has contributed to NNMC’s success. Interviewer: Thank you, Dr. Crichigno, for joining us today. We’re excited to learn about the IT program you’ve built at Northern New Mexico College. Can you start by telling us a little about your program and your students? Dr. Crichigno: Sure, we’re located in a rural area in New Mexico, in the northern part of the state. It’s a small college, with about 1200 students. We’re in a region that suffers from chronic poverty. Our students are mostly minorities (74% Hispanic and 11% Native Americans), and they are often underprepared for college. NNMC was a community college until 2005, when it was decided to begin offering bachelor degrees. And one of them was in Information Engineering Technology (IET). The IET program started in 2009 with around 15 students, and we’ve grown to about 70 students today. We partnered with Cisco for the Cisco Networking Academy in 2011, then VMware in 2015, and soon we’ll be adding Palo Alto Networks. As you know, we use NETLAB+ to deliver much of the laboratory experience that is essential for the employers here. Interviewer: That’s great. Why did you decide to use NETLAB+ to deliver your labs? Dr. Crichigno: Northern New Mexico is in the Rocky Mountains. We get a lot of snow during the winter, and many of our students live in remote villages. They have to drive maybe an hour in normal conditions—and the snow makes it much more difficult and dangerous. So, we wanted to have a laboratory setting that allowed students to do their labs remotely, regardless of weather conditions. The other reason is that NETLAB+ makes our lives easier. I teach classes. I’m the Chair of the College of Engineering, and I have plenty of other responsibilities like working on grants and accreditation. I don’t have a technician to help me with the labs. NETLAB+ makes it easy, because students just login to the website, reserve a time and complete the lab. There’s no need for me to set anything up, manage scheduling or do any of the troubleshooting that may be required in a physical setting. Everything is just ready to go. Interviewer: How has NETLAB+ impacted your program? Dr. Crichigno: Now students all over northern New Mexico can access the labs remotely. They can complete labs whenever they want. During the day, late at night, on the weekends—lab use is much better distributed over time. So we’re able to use less equipment to serve the same number of students. NETLAB+ has also enabled our program to expand. NNMC is about 30 miles from Santa Fe, the state capital. There’s only one community college in Santa Fe, and no public four-year institutions. We recently opened a branch of NNMC in the Higher Education Center (HEC). HEC is a center built by the state of New Mexico where four-year institutions can offer bachelor degrees. NNMC decided to offer the IET program in Santa Fe as well. We don’t have an IT laboratory in Santa Fe. But with NETLAB+ students are able to connect to the equipment here on our Española campus. NNMC is expecting to grow, because Santa Fe is a larger city than Española and there is a need for four-year programs in the IT area. Interviewer: It’s exciting to see how NETLAB+ is enabling your program to grow. I saw that you were recently awarded an National Science Foundation grant to develop a cybersecurity concentration. How is NETLAB+ helping you there? Dr. Crichigno: CCNA Security labs are very long, and they use many pieces of equipment. If a student wants to do a CCNA Security lab, it takes a whole pod with three routers and switches and a security appliance. For a 10-student class, it is hard to do the lab, because it takes a lot of time, two to three hours to finish the lab, sometimes more. Now with a NETLAB+ setting, preparing the network topology takes just five minutes, and that’s nothing compared with the 30 to 60 minutes that it may take to set up the network topology in the physical environment. And of course they can do it at any time. Plus, NETLAB+ gives us access to all the curriculum. If I had to develop the curriculum, it would take quite a bit of time. It might not even be possible with all the responsibilities I have. NETLAB+ makes it very easy to adopt the curriculum. That’s one of the great features. It’s ready, robust, and it works. Interview: Last question, as we wrap up. What do you enjoy most about teaching at Northern New Mexico College? Dr. Crichigno: The most rewarding part of my job is seeing students graduate and get job offers that are life-changing. Students who are coming from a very poor region, at the end of the road they’re getting offers from $80,000 to $90,000 per year, which changes the life of an entire family, not only the students. There are challenges, and it is not easy. Many of our students have families, work full-time, and have to study at the same time. These imply multiple responsibilities and economic needs. Yet, despite all that they are able to finish the program and get a better life after graduating. 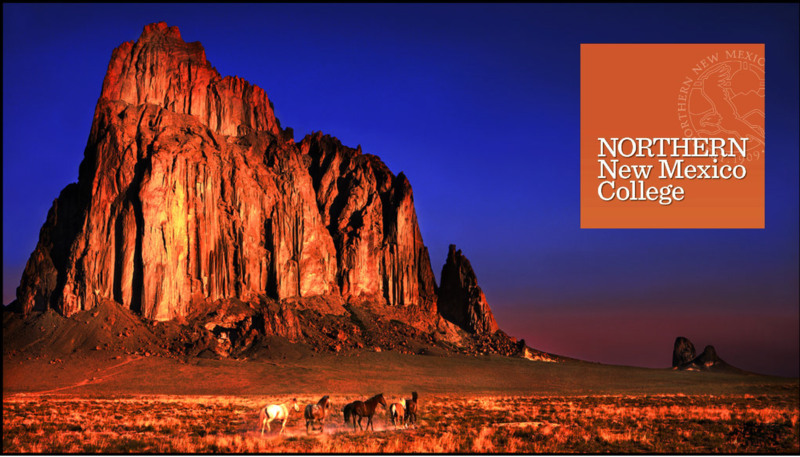 Read the case study to learn how NNMC is using NETLAB+ to overcome geographical challenges in rural New Mexico.